A website that encourages you to Give. Advocate. Volunteer. United Way of Greater Atlanta covers the 13-county region and invests in more than 200 programs. Its member base is broken into donor groups, each with its own branding, events and goals. 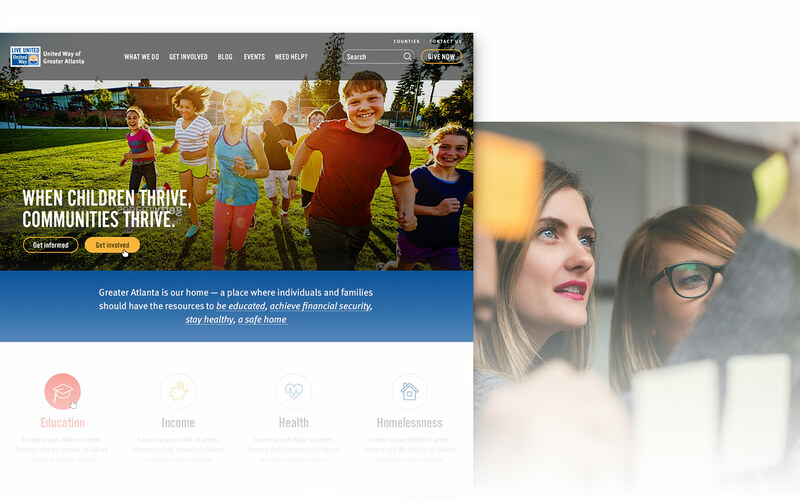 Our challenge was to create an easy to manage website that simplifies everything United Way offers into its 3 main objectives: Give. Advocate. Volunteer. We built a stunning website that has tailored, clear donation forms throughout and volunteer opportunities that can be tagged across multiple pages, making the site easy to update for the client’s team. 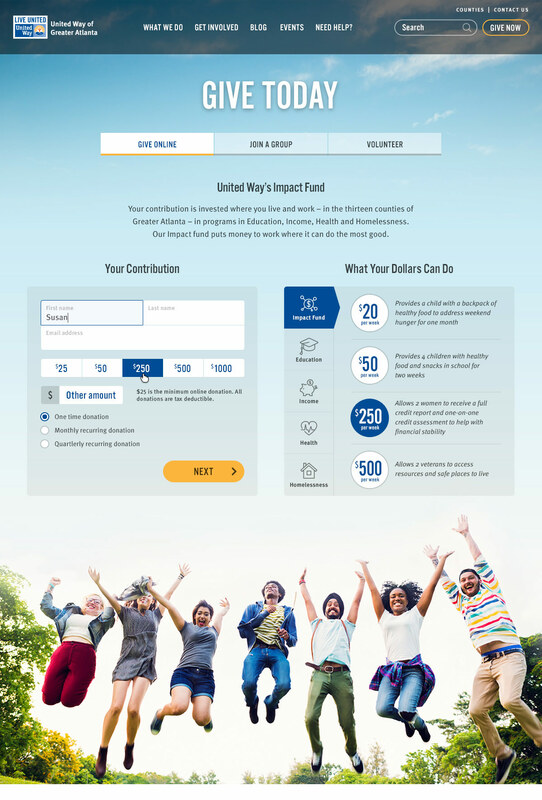 The new United Way website needed to showcase everything the nonprofit offers while being visually pleasing and easy to manage for their team. To make all the content digestible, our design had to be clean and image-driven. Fresh content and volunteer opportunities had to show on related pages, saving their team time and allowing the nonprofit to continue to grow without being restricted by their website. Everything a visitor may be interested in needed to be easy to find and motivate action. The United Way team is able to work smarter, not harder, when it comes to attaining its goals as a nonprofit, and the new website pulls its own weight. Donation forms and group pages inspire users to give. The interactive and visually pleasing content pages boost advocacy in all of United Way’s efforts across Atlanta. And because of the site’s easy-to-use tagging feature, upcoming events and volunteer opportunities can be added to different pages right away, encouraging more people to volunteer.